It's another week and another new batch of Kickstarter games for your to take in. This week we've got conspiracies, calamari, and one of the best deals on a game with miniatures we've seen in a long time. Let’s see what’s out there! Unless you've been in Board Game Siberia the past few years, you've heard of the Tiny Epic series of games that Gamelyn Games publishes, from designer Scott Almes. 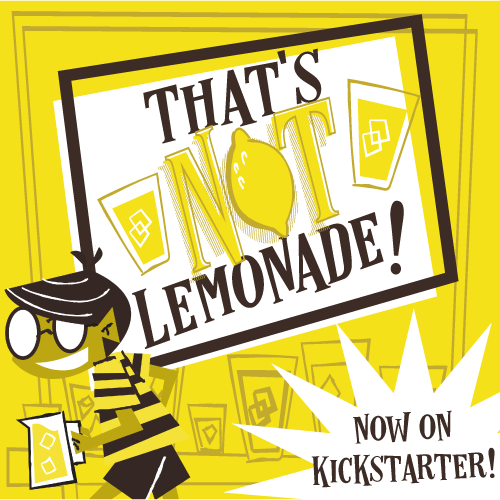 What you may not have heard is that the next installment of the franchise is on Kickstarter right now! Tiny Epic Western is looking to wrangle up enough support to make its way into your FLGS. So is it worth a look-see or should you pull up on the reigns? Let's take a gander! My (Jeremiah's) game of the year for 2014 was Tiny Epic Kingdoms, the first in the Tiny Epic line from Gamelyn games. TEK is a 4X micro game that packs a ton of gameplay into a small package. If you don't know how to play TEK, and/or want to see our thoughts on the base game, you can read our full review right here. Heroes' Call is the first expansion in the Tiny Epic universe, which doesn't necessarily mean there will be expansions for each of the Tiny Epic games, as was explained to us in this interview. But enough with links and other introductory statements, let's kick the tires and find out what Tiny Epic Kingdoms Heroes' Call is all about! Today's review is of Mr. B Games' Spurs: A Tale in the Old West, a sandbox-style game in which you decide your destiny and work your way to victory by choosing a path of virtue or infamy. Will you help the rancher wrangle up his cattle, or rob him blind!? The choice is yours in Spurs! Let's dig in!